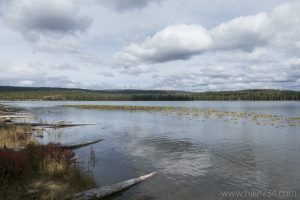 This nice lake is tucked behind a lodgepole covered ridge and is a popular spot for waterfowl. 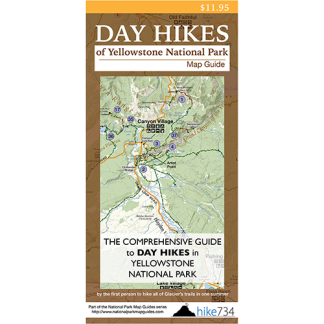 The trail begins by climbing most of the elevation immediately. It travels up through lodgepole pines and has a brief view of the Grassy Lake Reservoir. Once at the top of the hill, it traverses up and down through more lodgepole stands of varying ages offering limited views. The trail gradually descends across the plateau, and the lake eventually comes into view. The trail then drops quickly to the shoreline of the lily pad lined Beula Lake. The trail continues for a short distance along the shoreline and ends at a campsite. Trailhead: South of the South Entrance, on the John D. Rockefeller Jr. Memorial Parkway, turn at Flagg Ranch and head west on the Grassy Lake Road. At the east end of the Grassy Lake Reservoir, just as it comes into view, look for an unsigned pullout on the north side of road.